My Black-eyed Susans have bloomed! Another pretty pop of color out front. 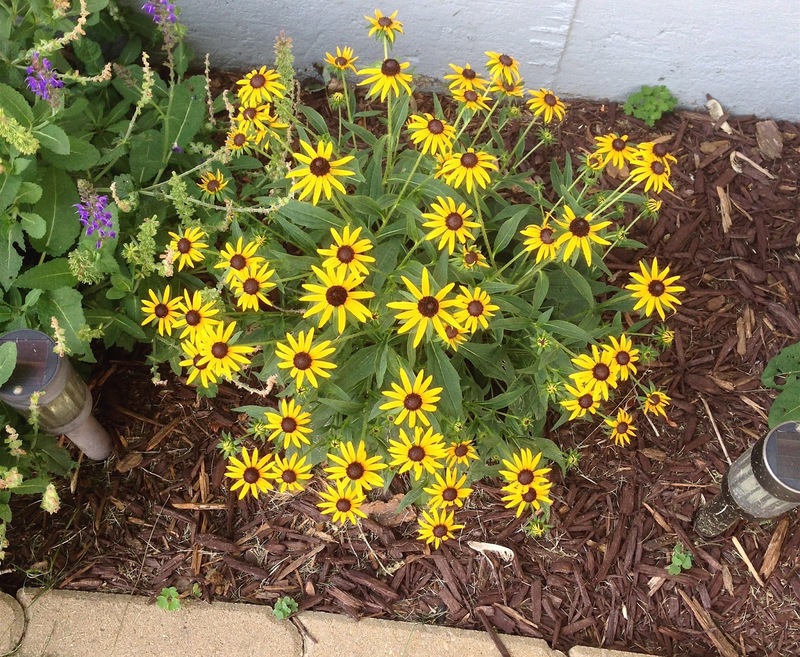 Black-eyed Susans can be either annuals, biennials, or perennials. They are one of the most common wildflowers grown. Black-eyed Susans grow to be between one and three feet tall, and can spread 12-18 inches. You should remove dead flowers to prolong blooming. If you cut back Black-Eyed Susans after they bloom, a second, smaller bloom may occur in late fall.